PTF envisions societies where citizens succeed in making their government free of corruption. Our approach to realizing this vision focuses on incubating innovative good governance initiatives to validate selected ideas, scaling-up successful approaches for wide-spread replication, and disseminating results and lessons learned from our experience to advance the global movement against corruption. 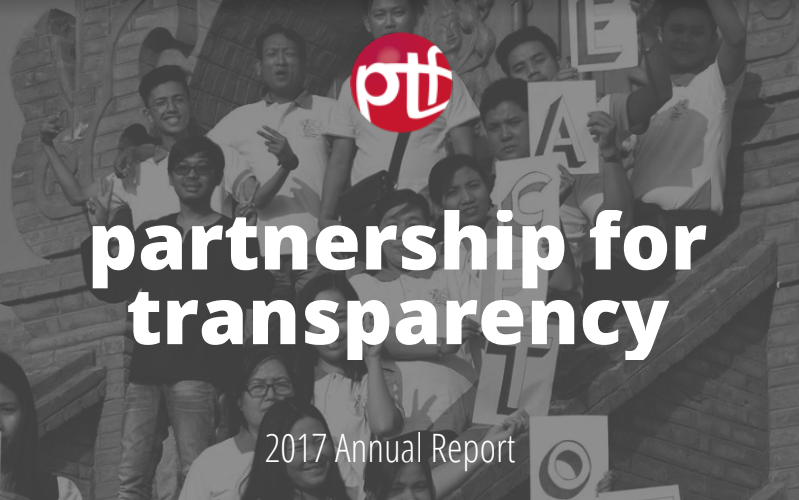 Download our 2017 Annual Report to see more on how we’re contributing to the global movement towards more transparent and accountable societies. For additional information on our financials, download our 2017 Audit Report or our 2017 IRS 990.